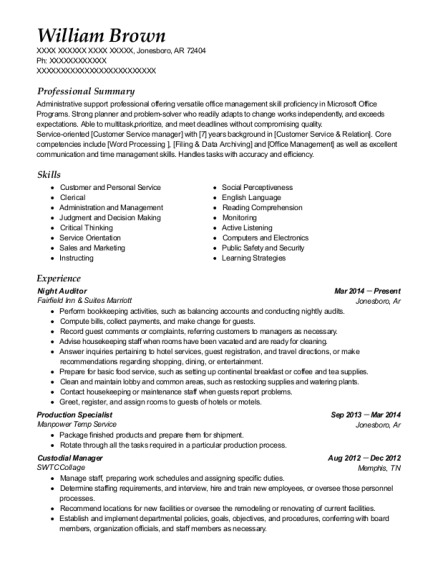 Accurate, detail oriented reliable and responsible individual seeking a position as an administrative assistant. Core competencies include office management, writing, organizational skills and customer service as well as excellent communication and time management skills. Professional and motivated applicant who is able to handle tasks with accuracy and efficiency. Issued receipts, refunds, credits, and change due to customers. Assisted customers by providing information and resolving their complaints. Performed bookkeeping duties, such as credits and collections, prepared and sent financial statements or bills, and kept financial records. Answered telephones and directed calls to appropriate staff. Greeted visitors, ascertained purpose of visit, and directed them to appropriate staff. 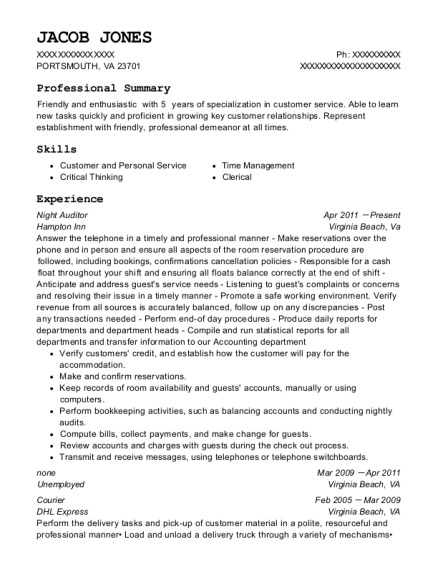 This is a resume for a Night Auditor in Jesup, Georgia with experience working for such companies as Quality Inn and Bealls Outlet. 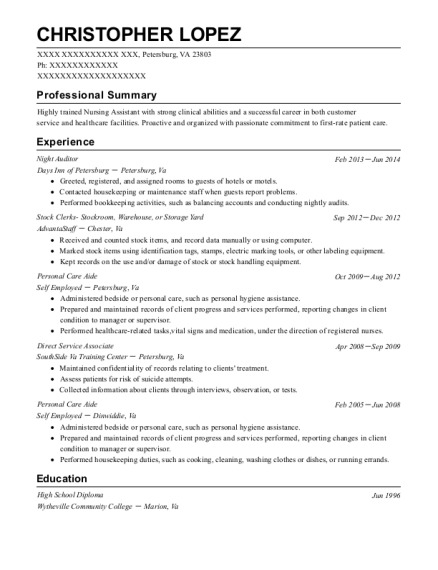 The grade for this resume is 0 and is one of hundreds of Night Auditor resumes available on our site for free. 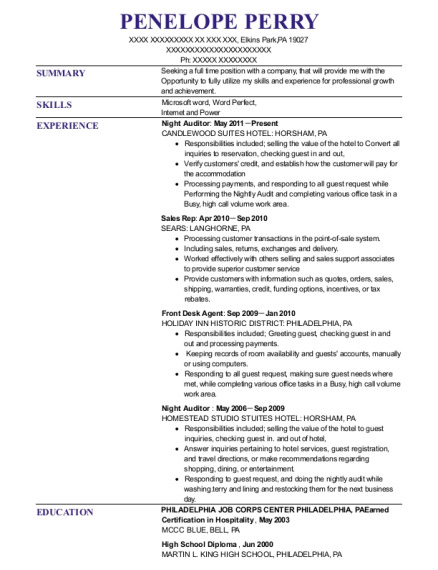 Use these resumes as templates to get help creating the best Night Auditor resume.